A. Slow down and use your low beam headlights and hazard warning lights to make your vehicle seen. B. Put on your high beam lights. C. Follow closer to other vehicles. Correct. High beam headlights will reduce your visibility and could dazzle other drivers. Following closer to other vehicles reduces your time to react to emergency situations. Fog can reduce visibility to a few metres. Fog is worse to drive in if you have your headlights on high beam, so keep them dipped. Turn your fog lights on as this will help drivers following you see where you are. Remember to turn them off afterwards, though, as they are very bright and can dazzle other drivers. Avoid the temptation to lean forwards to try to see more – you won’t, and it puts you at risk if you have an accident as your head will be too close to the airbag going off. 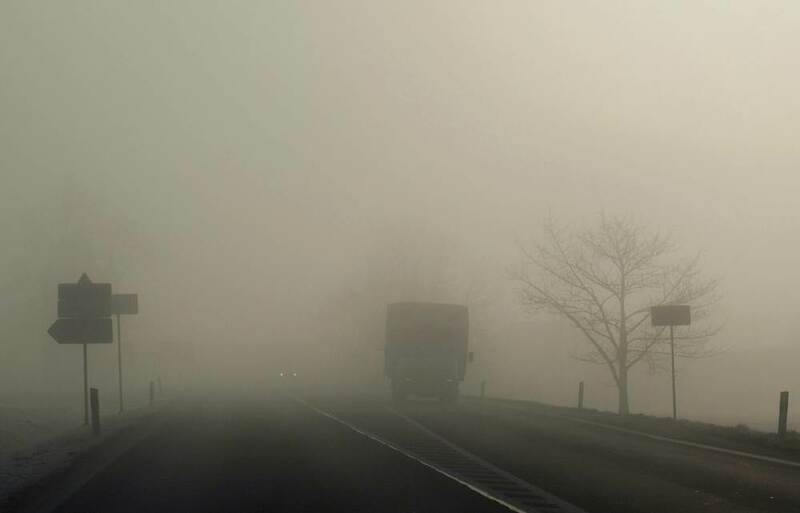 Read more about driving in limited visibility here.